The game has had criticizes do to the game has no helicopters, or planes obtainable. Even grand theft auto lll has a plane that can fly for a short time, Rockstar Games states that the game is more focused on the missions, and other new addition's which forced them to cut out fixed wing vehicles and helicopters. The game clearly has bad graphics for the PS2 version, because the graphics were similar if not exact to grand theft auto lll which was made in 2001, and grand theft auto liberty city stories was made in 2005! 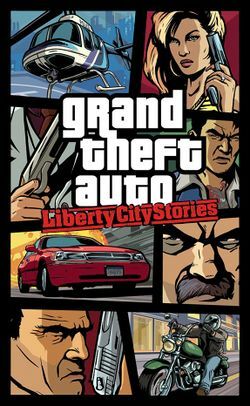 grand theft auto vice city and San Andreas had many more features and better graphics, and they were made before grand theft auto liberty city stories. Which is ironic because then Rockstar Games wouldn't get paid enough, and not as many people would buy the game as the previous games, and all Rockstar Games had to do was simply add a couple of entertaining features and better graphics.